Dealing with the death of a loved one is a difficult experience. It is even more difficult when your loved one’s death is caused by the wrong-doing of another individual. 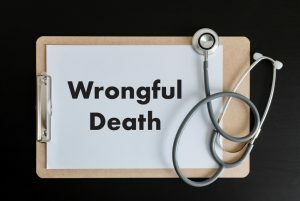 Wrongful death is when you denote a civil action in which damages are sought against a party for causing a death, typically when criminal action has failed or not attempted. 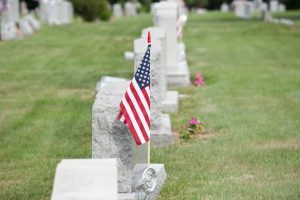 In other words, if your loved one’s death was caused by the negligence or recklessness of another individual, you may be entitled to compensation and could possibly pursue criminal charges. Here at Eisner, we have the perfect team to fight a wrongful death case. Our experienced attorneys, former doctors, and former insurance agents are prepared to handle your wrongful death case. There are a number of factors involved in a wrongful death case. Some of the more important factors are listed below. The defendant’s negligence caused or contributed to the death. The negligent conduct must be bias for a cause of action that could have been pursued had the death not occurred. Must be one or more survivors who have suffered a loss due to the death, as well as damages that can be recovered by the deceased’s estate. All of these factors weigh into whether or not you have a wrongful death case on your hands. If they apply to your situation, contact one of our attorneys at Eisner Law. Immediate Family Members – Spouses, children, and parents can all recover any damages that the death may have caused them. Life Partners, Financial Dependents, and Punitive Spouses – Life or domestic partners, those who are financially dependent on the deceased, or punitive spouses may be entitled to damages. Distant Family Members – Brothers, sisters, and grandparents may be entitled to compensation. For example, if the grandparent’s acted as paternal figures to the deceased individual. Parents of Deceased Fetus – In some states, the parents of a deceased fetus have a basis for a wrongful death suit. In a number of other states, you cannot bring a wrongful death suit over a fetus. In the remaining states, a wrongful death suit can only be filed if the infant was born alive and then died. Speak to a local attorney for clarification on how these cases are handled in your state. What Can You Sue For? There are common causes of wrongful death suits. The most common causes have to do with auto accidents, whether it is a car, truck, motorcycle, bus, or bicycle accident. In other cases, this type of suit can be brought up if the deceased died in a workplace accident. For example, if a scaffolding is not held up correctly, falls, and kills your loved one, you may have a case for a workplace accident case. If you or a loved one has passed away in any of the ways mentioned above, contact our attorneys at Eisner Law. We have the experience to get you the largest reward possible. In certain cases, you may be entitled to additional compensation aside from your wrongful death suit. A survival action suit is very similar to a personal injury suit. Basically, when you file a survival action suit, you can sue for compensation to replace damages for the period of time that ranged from when your loved one was originally injured, to the day that he/she died. A survival action suit can be filed to seek compensation for pain and suffering, lost earnings, medical bills, and other damages from the state. Survival actions are typically calculated by taking the descendants annual salary and multiplying it by the number of years the defendant was supposed to work. The jury then takes that number and subtracts it from the projected living expenses. The total is to then to be added to the state and divided equally amongst the people listed in the will. Whenever you lose loved one it is a sad and unpleasant experience. It is even sadder when it is sudden and due to the reckless behavior of another individual. If your loved one died as a result of an auto accident, medical malpractice, workplace accident, product liability, or criminal activity, you could be eligible for a wrongful death lawsuit. At Eisner, we have the staff that is experienced in wrongful death suits and is prepared to fight for your justice. Contact us for a consultation today.